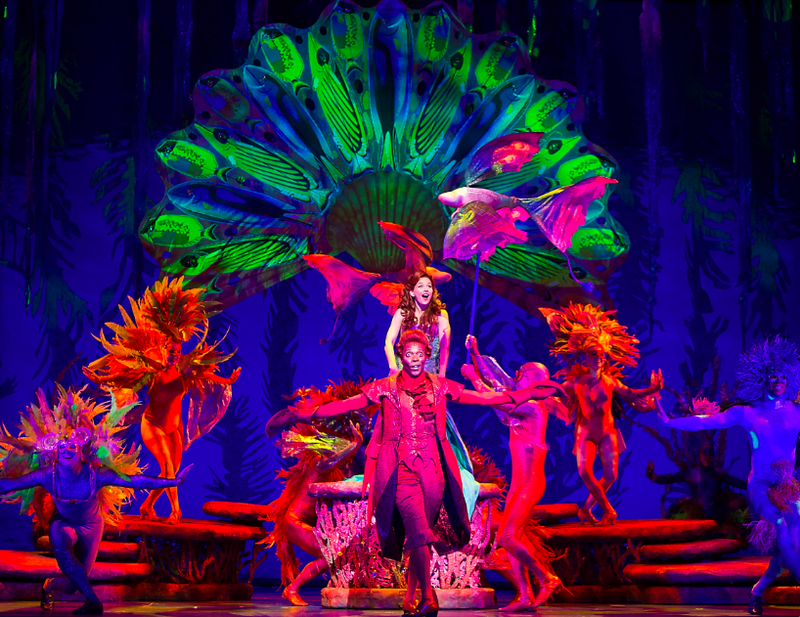 We love that Lexus Broadway in Austin, presented by Texas Performing Arts, announced Theatre Under The Star’s production of Disney’s The Little Mermaid begins soon. This fun-filled, timeless tale runs September 29 – October 4, 2015 at Bass Concert Hall. It turns out that in a magical kingdom fathoms below, we meet Ariel, the little mermaid who is tired of flipping her fins and longs to be part of the fascinating world on dry land. Joining her are Sebastian, Ariel’s crabby sidekick; Ursula, the evil sea witch; Triton, King of the Sea and the handsome and human Prince Eric. The show features all of the favorite songs like “Under The Sea” and “Part of Your World” as well as new songs written by Oscar-winning Disney composer Alan Menken, the mastermind behind productions such as Beauty and the Beast, Aladdin and Pocahontas. Lyrics are by Howard Ashman and Glen Staler and book by Doug Wright. In 2014, TUTS (Theatre Under The Stars, Houston’s acclaimed non-profit musical theatre company) produced the revised version which included mesmerizing scenery, dazzling new costumes and high-flying action. TICKETS: Start at $35. Tickets are available at http://www.BroadwayinAustin.com and at the Bass Concert Hall box office, all Texas Box Office Outlets, by phone at (512) 477-6060. For groups of 10 or more, call (877) 275-3804 or email Austin.groups@broadwayacrossamerica.com.